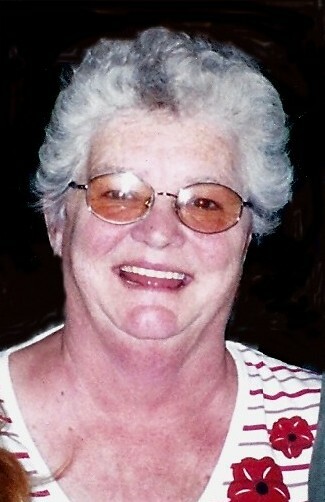 Lois Eunice Aalmo, age 67, passed away Tues., Oct. 27, 2009, at Island Hospital in Anacortes, Washington. She was born October 4, 1942, in Spear, N.C., to Rev. Fred and Mary (Willis) Dellinger. Lois grew up in Rockport attending school and for many years worked at the Rockport Store as a sales clerk. She was married to John Aalmo on Dec. 31, 1986, on Camano Island and resided there until 11 years ago when they moved to Anacortes. Lois was a member of the Eagles and an avid Mariners fan, and she enjoyed traveling, boating, crocheting, knitting, and making sweaters and blankets for her family and friends. She loved people and had a huge heart for everyone. Lois will be remembered for always being instrumental in getting family together to celebrate special occasions, and for always calling family members on their birthdays and singing “Happy Birthday” to them. Lois is survived by her husband, John Aalmo, of the family home in Anacortes; two daughters, Erva Dominguez and her husband, Manuel, of Concrete, and Patty Chandler and her husband, Eric, of Sedro-Woolley; a son, Mark Cress and his wife, Lisa, of Rockport; a stepson, Bruce Aalmo and his wife, Shannon, of Arlington; a stepdaughter, LeAnne Aalmo of Lake Tahoe, Calif.; seven grandchildren, Jeremy and his wife Wendy, Jesse and Jacob Eldridge, Erica Chandler, Tiffany, Wesley, and Wayne Cress; a great-granddaughter, Jesschelle Eldridge; stepgrandchildren Lauren and Cody Aalmo; stepgreat-grandchildren Justine, Jayme, and Parker; a brother, Samuel Dellinger and his wife, Linda, of White Center, and a sister, Texie Pressler of Anacortes; and numerous nieces and nephews. She was preceded in death by her parents and a brother, Daniel “Boone” Dellinger. Funeral services were Sat., Oct. 31, 2009, at 11 a.m., at Lemley Chapel, Sedro-Woolley, with Pastor Wendy Tingley of Trinity United Presbyterian Church officiating. Interment followed at the Forest Park Cemetery in Concrete. A reception followed the services at the CCD Center in Concrete. Share memories of Lois and sign the online guestbook at www.lemleychapel.com.